In 'Alphabet' Mysteries, 'S' Is Really For Santa Barbara Private investigator Kinsey Millhone is one of the most well-known characters in modern crime fiction, but there's another star in Sue Grafton's thrillers: the fictional city of Santa Teresa, based on Santa Barbara, Calif.
Santa Barbara is a picturesque city on the coast of Southern California. 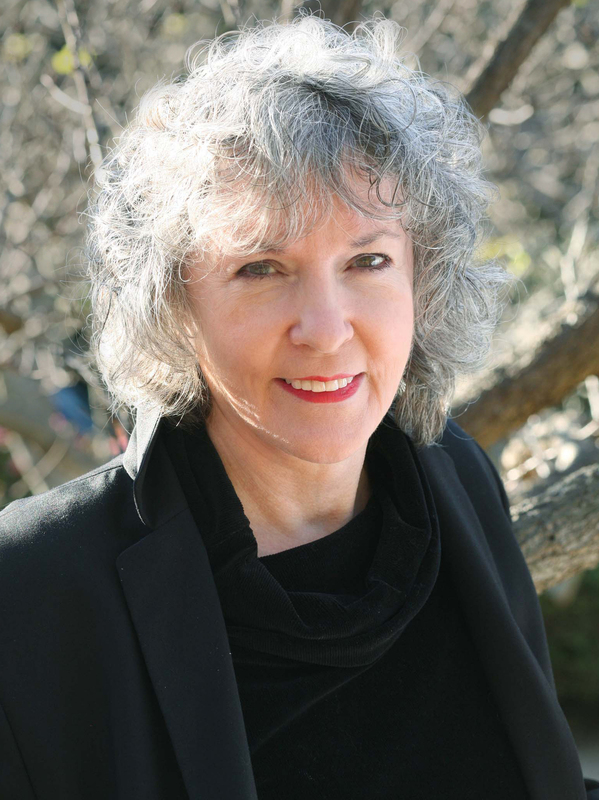 Author Sue Grafton says the city's sunny climate and charming architecture make it the perfect setting for murder. Novelist Sue Grafton is a real hoot. She's just as likely to talk, in that native Kentucky drawl of hers, about her prized silver-coin mint julep cups as about a juicy murder mystery. But she does have a crime writer's imagination. "I always say to people, 'Don't cross me, OK? Because you will be so sorry,'" she says. "'I have ways to kill you you ain't even thought of yet.'" Grafton is famous for her "Alphabet" mystery series. Private investigator Kinsey Millhone is the heroine , but the novels' setting also plays a starring role: Millhone lives and works in Santa Teresa, a fictional town based on Santa Barbara, Calif.
Sue Grafton was born in Kentucky and now lives both in Louisville, Ky. and Montecito, Calif. Her California home is just outside of Santa Barbara. "The public buildings look like old Spanish missions, the private homes look like magazine illustrations, the palm trees are trimmed of unsightly brown fronds, and the marina is as perfect as a picture postcard." "What better setting for murder and mayhem than a gorgeous town like this?" she asks. Grafton says she used to think Santa Barbara's beautiful views and temperate weather were monotonous. Now, she kisses the ground of her real-life and fictional setting every day. The 73-year-old author calls herself the Goddess of Santa Teresa. "I control the weather; I can move real estate at will; I can change the orientation of streets," she explains. "And I am not only responsible for all the homicides, I am responsible for the solution to all those crimes." Those solutions come about through her alter ego, Kinsey Millhone — whose name, like Santa Teresa's, she lifted from the writings of hard-boiled crime novelist Ross MacDonald. Millhone is a feisty gumshoe who curses a lot and likes to eat peanut butter and pickle sandwiches. "She's the person I might have been had I not married young and had my children," Grafton says. "[Though] I am not an adventuresome sort. I'm terrified of violence. And if I'm stopped by the cops, I'm in a white-hot sweat. Kinsey is also respectful of law and order, but she does break and enter. You know, that's OK."
From the beach, on a clear day, you can see offshore oil rigs bobbing up and down on the Pacific horizon. It's hard to imagine now that Santa Barbara was the site of one of the country's biggest oil spills in 1969. Still, Grafton says she never goes in the water. "The ocean is so cold and so dirty," she confides, "and there are things down in there that will bite you." 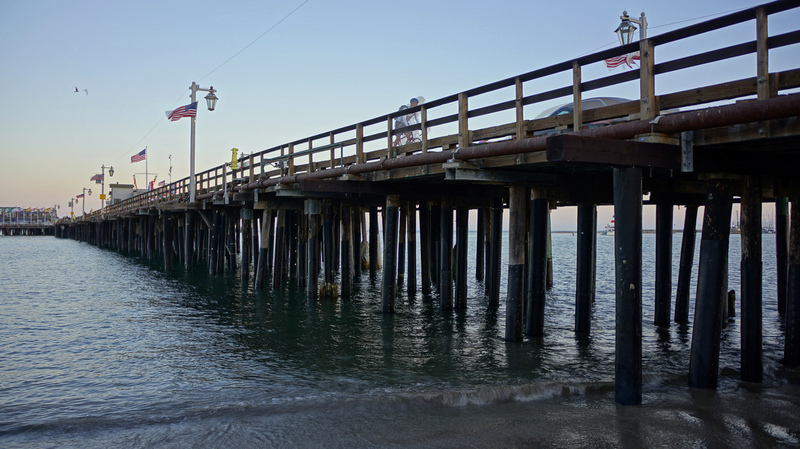 The pier at Stearns Wharf in Santa Barbara — and in Grafton's fictional Santa Teresa — hosts restaurants, fishermen and a psychic. 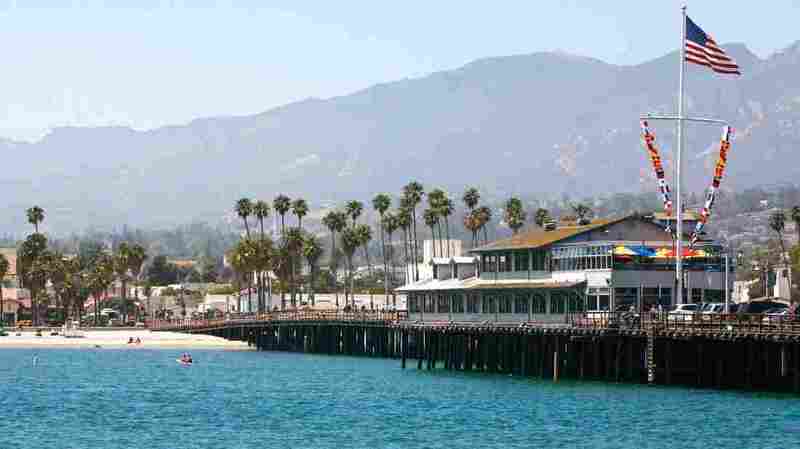 Instead, we head over to a Santa Barbara locale where some of her characters have met their demise: the long wooden pier at Stearns Wharf. It's a tourist spot with restaurants, fishermen and even a psychic, all overlooking a scenic marina. "This is called the poor man's yacht harbor, 'cause you can park out there for nothin'," Grafton says. "It is so much a part of Santa Teresa. I'll show you the marina where, at the end of J Is for Judgement, Renata Huff goes off." Grafton began writing the Kinsey Millhone mysteries in 1982, alphabetizing the title of each book with crime words. On the pier, Grafton quickly recites the list: "Alibi, burglar, corpse, deadbeat, E Is for Evidence, F Is for Fugitive, G Is for Gumshoe, homicide, innocent, J Is for Judgement, K Is for Killer, L Is for Lawless, M Is for Malice, N Is for Noose, O Is for Outlaw, P Is for Peril, Q Is for Quarry, R Is for Ricochet, S Is for Silence, T Is for Trespass, U Is for Undertow, V Is for Vengeance." The next book will be W is for Wasted. Grafton promises "z" will be for "zero" — and after she finishes that one, she's taking a nap. The Santa Barbara Bird Sanctuary inspired one of character Kinsey Millhone's favorite places to go jogging. Kinsey Millhone likes to jog around the town's bird sanctuary to blow off steam. Every morning, Grafton takes a three-hour walk here and in other nature spots. On the headphones, instead of grooving to music-- which she detests-- she listens to an evangelistic financial talk show. 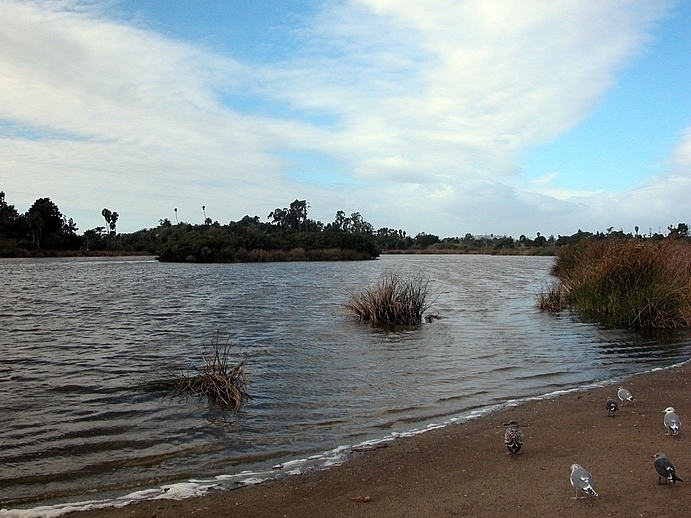 The bird sanctuary is where Grafton set up a fictitious homeless encampment in her latest book. Across the street, there's a Mexican cafe that serves as a hangout for police officers. "You get a margarita there and you can hardly walk to your car," Grafton quips. "So it's perfect for cops." Downtown, at the Santa Barbara police station, Grafton meets up with Chief Cam Sanchez, a big fan of hers. He says most of the crimes in town are home burglaries: "We're talking computers, safes, priceless paintings." For nearly an hour, Sanchez regales Grafton with stories about himself, his officers and unsolved murders. They commiserate over the cases that go unresolved. "In real life, sometimes you know exactly who the killer is, and you can't arrest 'em or can't convict 'em, or you convict 'em and they get out on a technicality," Grafton gripes. "And we've had that happen in Santa Barbara," Sanchez agrees. "You just go, 'Oh my god, the guy's walkin'.' And it is so frustrating." Grafton says that's why she prefers her crimes fictionalized. "An invented crime is more carefully thought-out," she says. "It has some intelligence to it, it has some cunning. It's still murder, but it isn't an alcoholic, impetuous crime of passion. Psychopaths are not interesting, because there is no reason for what they do. Usually with a homicide, somebody has a motive, if you can figure out what it is." Before Grafton leaves, Sanchez asks her to critique the manuscript of a book he's writing — it seems everyone in town has a book in the works. 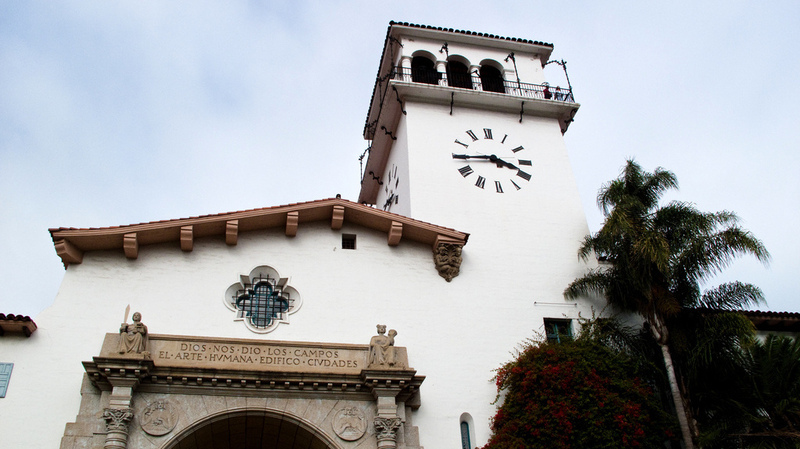 The Santa Barbara County Courthouse, a Spanish-Moorish landmark, was built in 1929. 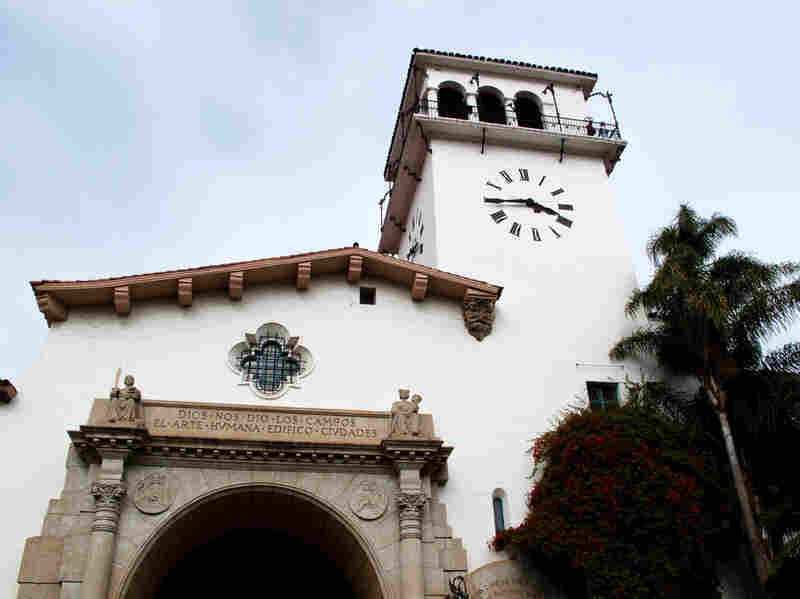 We cross the street to Santa Barbara's elegant courthouse, a Spanish-Moorish landmark built in 1929, so Grafton can pay a visit to her friend, Judge Brian Hill. "This is a spectacular courtroom," Hill says. "I mean, this is a courtroom that exudes justice and decorum and seriousness." And maybe a little something else. Back in his chambers, Hill shows off a secret stash: a half-full bottle of Gentleman Jack Tennessee whiskey, which he found hiding in the bookshelves, buried behind the California Appellate Reports. "Isn't it funny?" he asks. "Obviously there was some judge ... who liked to take a nip now and then." I ask Grafton if that's the sort of thing she might put in one of her books. "Naw," she says. "Nobody would believe it. It's like, 'Oh, Judge Hill, c'mon.'" We chat about autopsies, overcrowded prisons and the Dodgers before Grafton bids Hill goodbye and tells him the next stop on our Santa Barbara tour is the Cold Spring Canyon Arch Bridge — "in case we want to throw ourselves off," she tells Hill playfully. 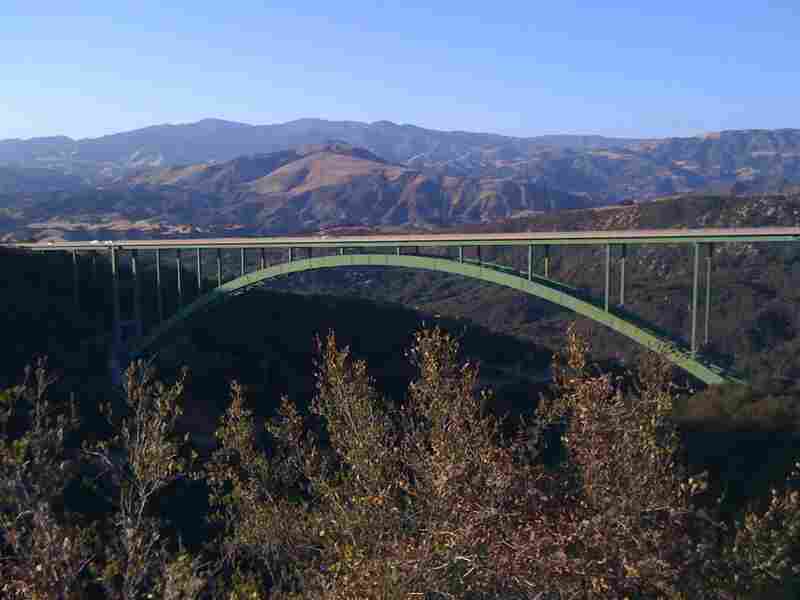 The Cold Spring Canyon Arch Bridge is the highest arch bridge in California, and has been the site of dozens of suicides. We drive up a windy road outside of town, to the highest arch bridge in California. It's a dramatic view, and a terrifying drop to the ravine 400 feet below. "What an idyllic, beautiful place this is, and what a great setting for something as hideous as murder," Grafton says. "You know, the contrast between the two." Grafton says she much prefers writing mysteries to the Hollywood screenplays she used to pen with her husband. I ask her if crafting so many murders makes her think about her own mortality. "I haven't agreed to do that yet," she says with a laugh — meaning dying. "I know it's the general plan for humankind. But you know, I think it's really rude." On the other hand, Grafton says she doesn't trust anyone who's always polite. She says everyone, including herself, has a dark side.